Airtel 4.5gb for N200 and 22gb for N1k is really one of the best tricks ever that over 65℅ of people using Airtel are enjoying on Android and other devices for over 2months ago. 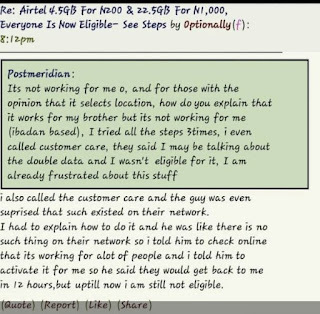 But unfortunately something went wrong 2days ago When Airtel NG realize this. How did Airtel NG realize this trick and get blocked? As i said earlier, This trick works for only 65℅ of Airtel users while others that wanna enjoy this offer as well are not eligible. This what makes some users to call the customer care service directly maybe this will solve their situation and get eligible. 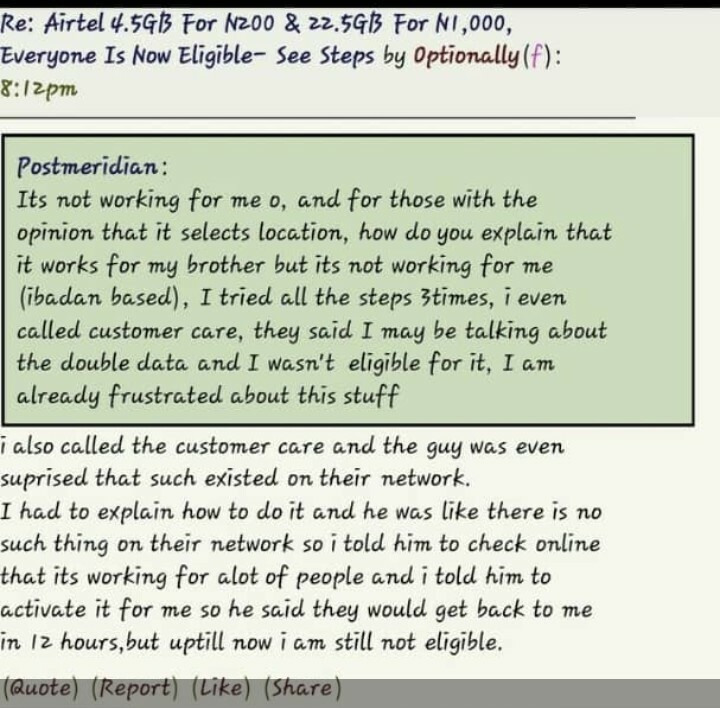 But unfortunately, A users on Nairaland that's not eligible for this trick quickly call the customer service and explained clearly about how people enjoy the trick. Airtel were confused about this, but later found out it's true and get blocked instantly. View the above picture easily to view what the man explain after calling the Customer service.